Whenever there’s a Threepenny Opera within easy traveling range, my husband and I make every effort to see it. We went to NYC last weekend to see the production at the Atlantic Theater—the 6th (or maybe7th?) we’ve seen together. Rick was fortunate enough at the age of eleven to have seen the first New York production with Lotte Lenya. This production got luke warm reviews but we both liked it and would recommend it. I think most reviewers have an ideal production of Threepenny Opera in their heads and no actual production can ever measure up. 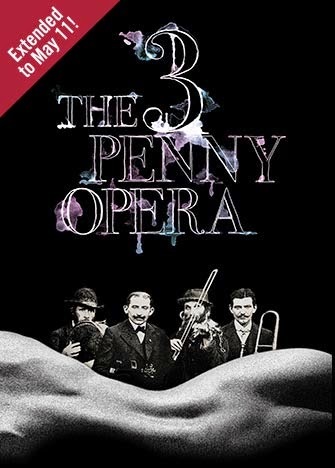 The Threepenny Opera has some of the greatest songs in musical theater—Mack the Knife, Pirate Jenny, the Tango Ballad. Judy Collins first introduced me to Pirate Jenny’s song and it’s still my favorite version—although Sally Murphy who played Jenny in the Atlantic production was very good. Although the Threepenny Opera has been generally viewed as Brecht’s satiric take-down of capitalism, I’ve never seen it that way. Sure there are those famous lines—e.g. “What is the robbing of a bank compared to the founding of a bank?” But I’ve always seen the Threepenny Opera as a cynical account of human cruelty with those on the bottom preying on those even more vulnerable, and with a savage portrayal of gender inequality at the emotional heart of the piece. The one time the caricatures become human beings is when Jenny pours out her pain at Macheath’s betrayal in Pirate Jenny’s song, followed by one of the most poignant songs ever written about love gone bad— Macheath and Jenny’s duet in the Tango Ballad. Friday was our Weimar Republic day. In the afternoon we went to the Neue Galerie to see Degenerate Art: The Attack on Modern Art in Nazi Germany, 1937. The exhibit was definitely worth it-–although just because Hitler hated a painting doesn’t mean it was a major work of art. There were some truly awful paintings in there with the Feininger’s and Klee’s. The exhibit also included archival footage of the citizens of Munich wandering through the exhibit looking dazed, uncomfortable and uncomprehending. Definitely worth it if you’re in NYC before it closes on June 30. And the Neue Galerie has probably the most beautiful café in NYC, a recreation of a Viennese café with pastry to die for.